Mazda recently sent us its family hauler vehicle in the form of the 2014 Mazda5 multi-activity vehicle. 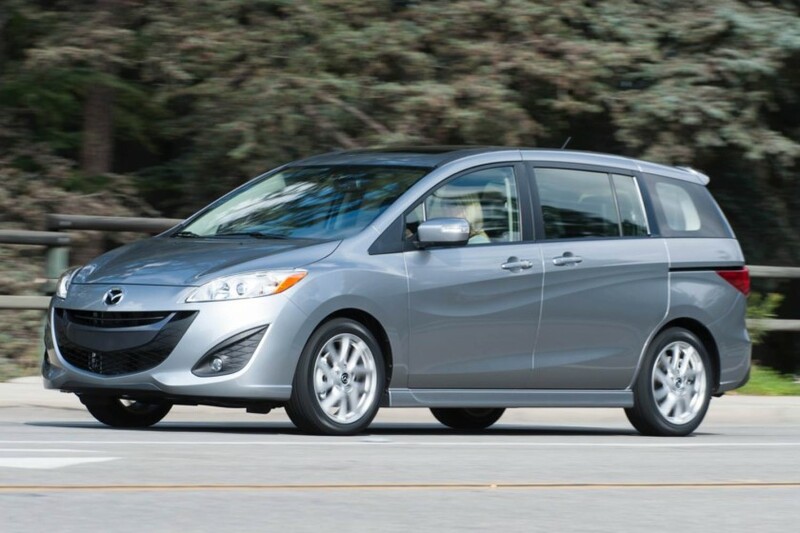 Its class is minivan, but Mazda builds the Mazda5 as more of a 7/8-scale minivan, and being smaller, shorter, narrower and lower makes for a much more maneuverable vehicle that, for many families, fits perfectly into their modern lifestyles. 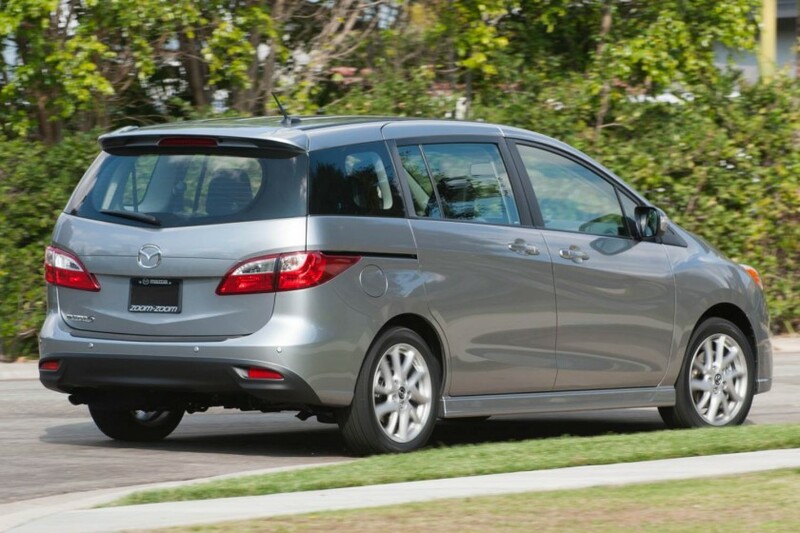 We reviewed the modern version of the Mazda5 in 2012 and since then little has changed with the vehicle. It still features a stylish exterior, seating for six inside, sliding rear side doors for convenience and compactness, folding second and third row seating for flat cargo floor, and a four-cylinder engine that provides plenty of power for the vehicle empty or, as we discovered, fully laden. Under the hood of the Mazda5 is the automaker’s proven 2.5-liter inline four-cylinder MZR engine that – in this application – delivers 157hp and 163 lb. ft. of torque. Another discovery was the fact that the EPA fuel economy ratings were blown out of the water a bit as the 22 mpg city and 28 mpg highway were never seen during our testing. Rather, we experienced BETTER than rated gas mileage both in town and on the road, even when hauling three adults, two grandkids, and a rear cargo area loaded floor to ceiling with luggage after their trip to the Big Apple. 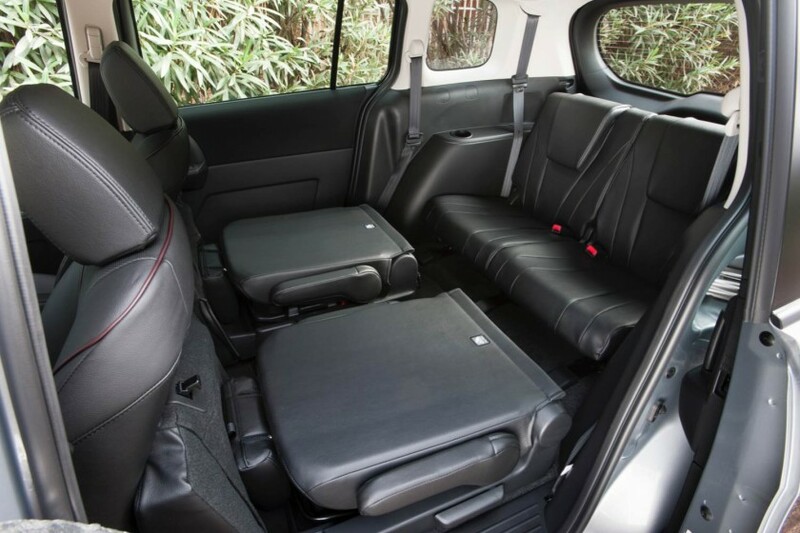 While I do miss the power function of the side doors on larger minivans, these in the Mazda5 are light enough that using a little “elbow grease” is no chore, and the only time you will miss that fancy option is when your arms are full of children or whatever. 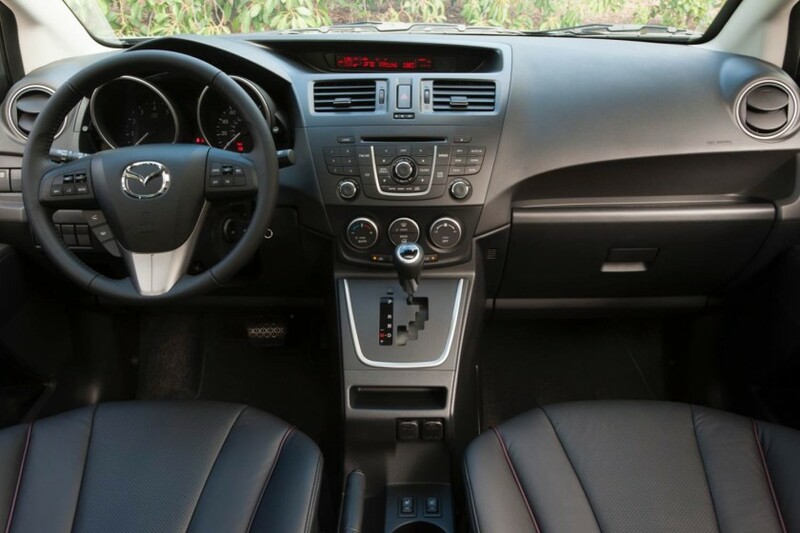 Pricing for the 2014 Mazda5 begins at $20,140 for the Sport model with six-speed manual transmission. Our review vehicle arrived in Grand Touring trim with optional five-speed automatic gearbox at a base MSRP of $24,670 and a final sticker of $25,540. As with another recent Mazda vehicle we tested, our wish list for the Mazda5 features a navigation unit of some type from the factory. I realize more drivers are using their smart devices for navigation duties but I would prefer my vehicle feature a unit built into and around the infotainment system from the factory. The 2014 Mazda5 continues to be one of my favorite multi-purpose, multi-activity vehicles offered by any manufacturer, and a great deal of that allure is what I called its “7/8-scale” packaging. It is ideal for the modern urban family that has outgrown their “cute-ute” and need a little more space or a little more flexibility in their vehicle requirements. It’s a great little mini-minivan.